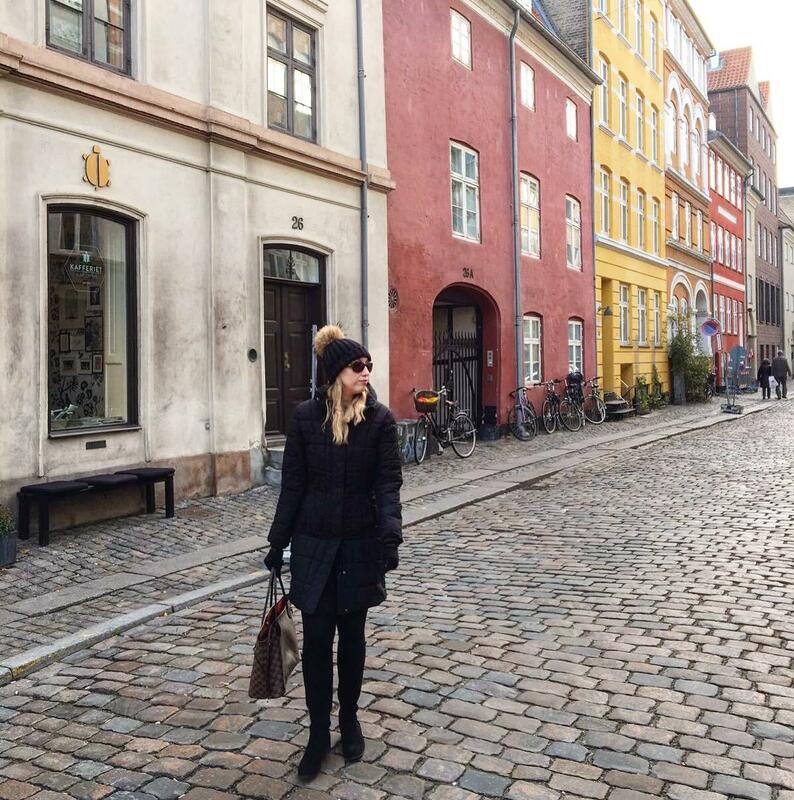 I love a city break, and being less than two-hours away from London my friend Sophia and I decided to go to Copenhagen for a long weekend. Until we booked the trip, I hadn’t really given Copenhagen much thought, but now I already want to go back. 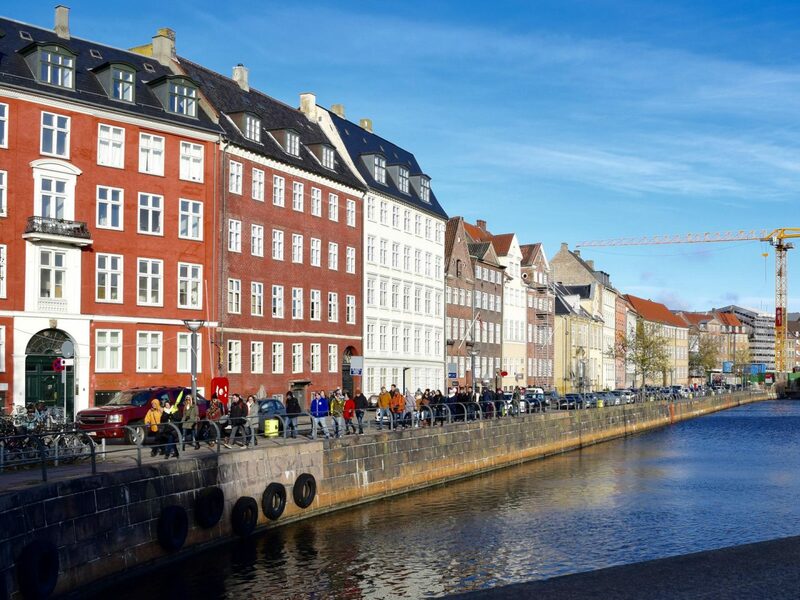 Copenhagen is a beautiful place, and boasts history, culture, architecture, shopping, great food and fun nightlife. It’s the ideal weekend away destination and I can safely say is now one of my favourite cities. We managed to squeeze a fair bit in and I made sure to photograph as much as I could to create a guide to the city. I was overwhelmed with the amount of cool places we found and by how friendly, peaceful, tall and downright attractive Danish people are! 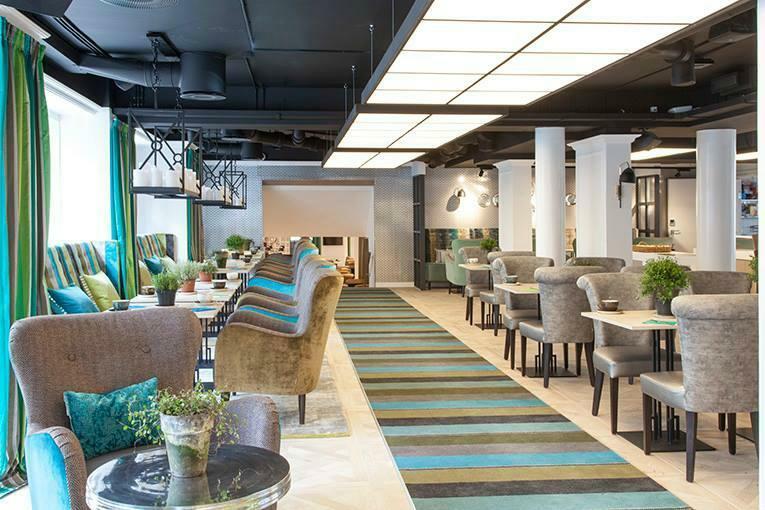 If you’re looking for a hotel that is well priced, within 5 minutes of the station & city centre and walking distance of most attractions in Copenhagen then you’ve hit the jackpot with hotel Absalon. 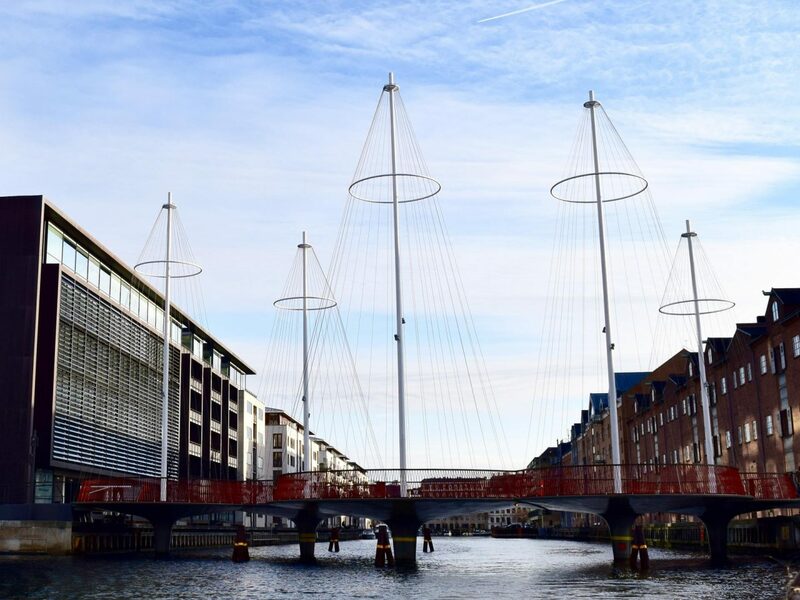 Located close to the popular Kødbyen neighbourhood (Meatpacking District), there are plenty of trendy bars and restaurants nearby, of which there will be recommendations further down in this post. 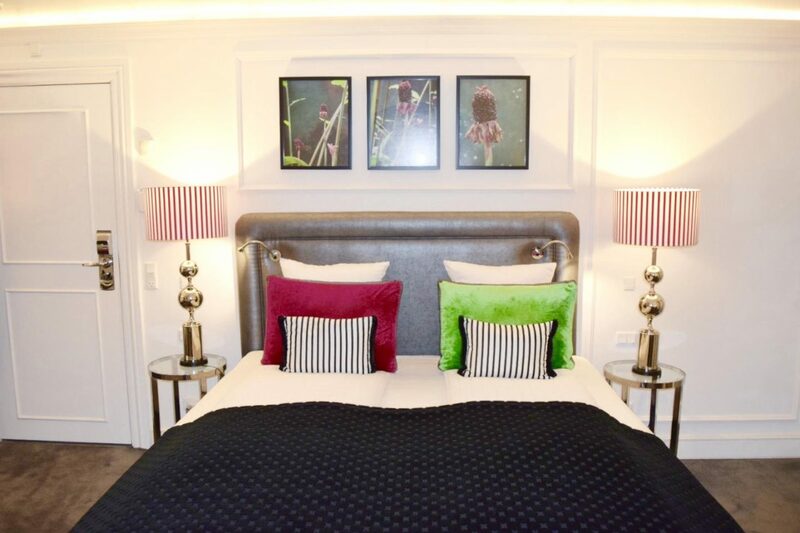 Featuring colourful décor by Designers Guild, Absalon’s modern bedrooms feature a desk and flat-screen TV with cable channels. 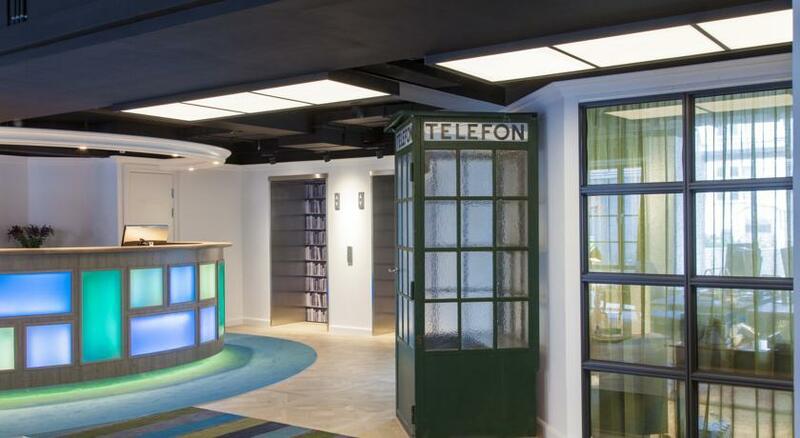 There’s a fridge and safety deposit box so you can keep your snacks and drinks fresh and your passport and cash safe. All of the furniture in the hotel, from bed to chairs are some of the comfiest I have experienced, the bed was like sleeping on a cloud. The delicious Scandinavian breakfast buffet included so much choice I lost all control and stuffed my face! 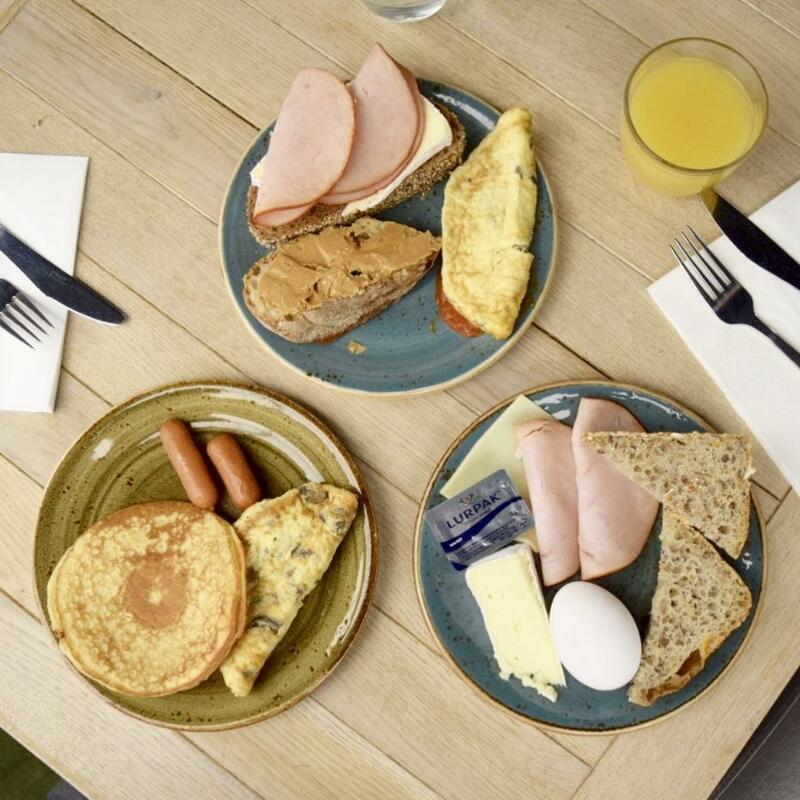 From (understandably) delicious Danish pastries, to gluten-free bread, omelettes, sausages, pancakes and cheeses there is something for everyone and the picture above shows just some of the large amount of yummy breakfast options offered. In the warmer months you can sit out in the courtyard to enjoy your breakfast or morning coffee. Copenhagen residents love to cycle and if you want to join in the city is so flat, with bike lanes on almost every road it’s perfectly safe. 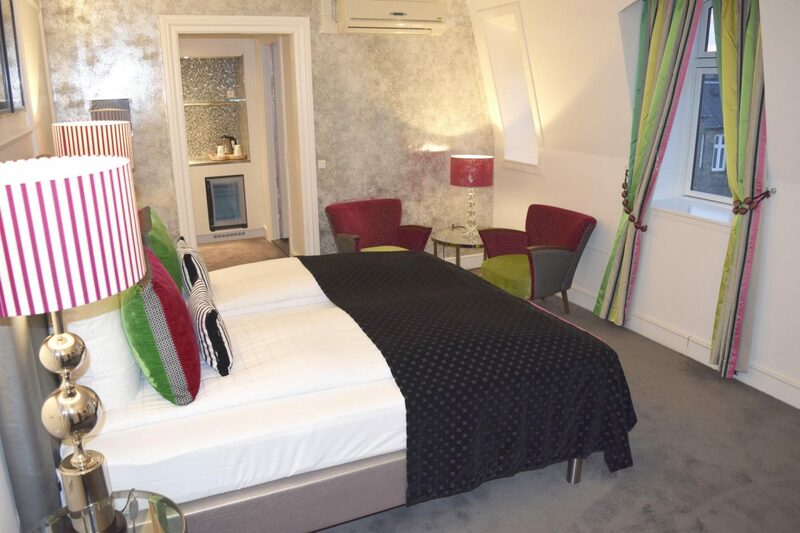 Hotel Absalon offers bicycle rentals to all guests and I love that they have a basket on the front, to pop your handbag or recent purchases in. 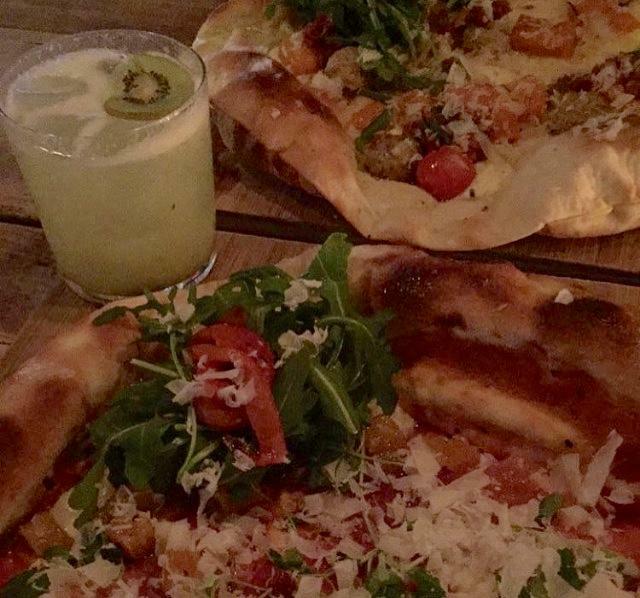 Possibly one of the coolest pizza and cocktail restaurants around, Neighbourhood is located in Vesterbro and is an all organic gourmet pizza and cocktail bar. They’ve gone for the community table vibes which means making friends with your ‘neighbours’ is easy. You see what they did there! The pizzas cost DKK 135 and are a modern interpretation of Italian pizzas, using half the amount of dough so they are light and crispy. The fresh salad and meat toppings are gorgeous, the cocktails flavourful and the wine (once you finally manage to convey what kind of LARGE glass you need) is beautiful. In case you wondered a large glass of wine involves ordering a ‘double wine’ fml. Danish bars need bigger glasses. Sophia’s fave cocktail was the kiwi sour, so give that one a go. Not being the biggest foodie in the land I deffered to Sophia’s infinite hipster food venue knowledge and we ended up here. I left possibly half a stone heavier and hoping there wasn’t a weight limit on the plane! 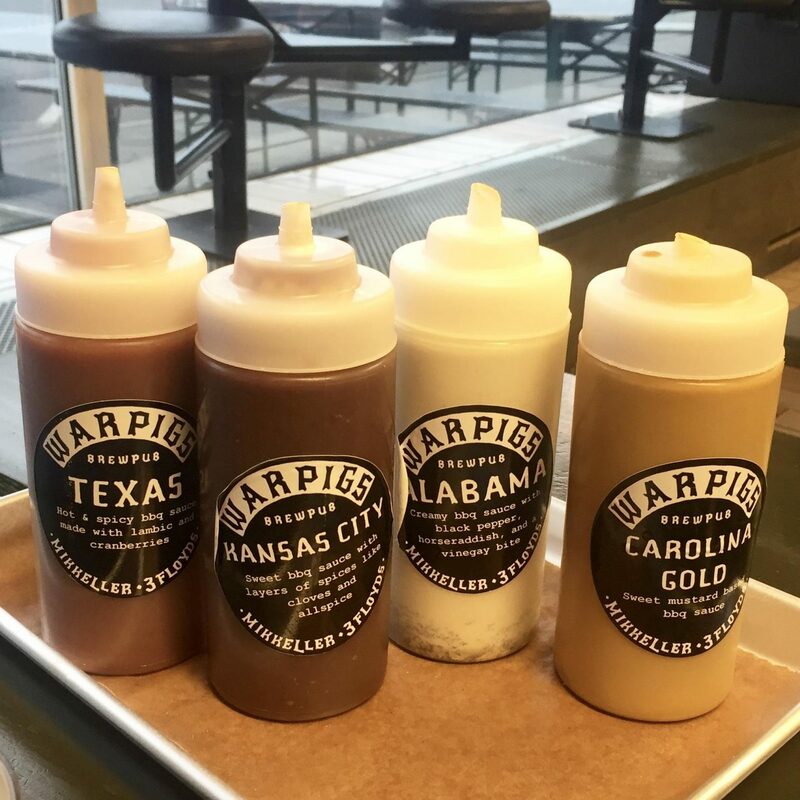 Warpigs is an excellent place for lunch, beers and a serious selection of sauces to pour all over your massive tray full of meat. 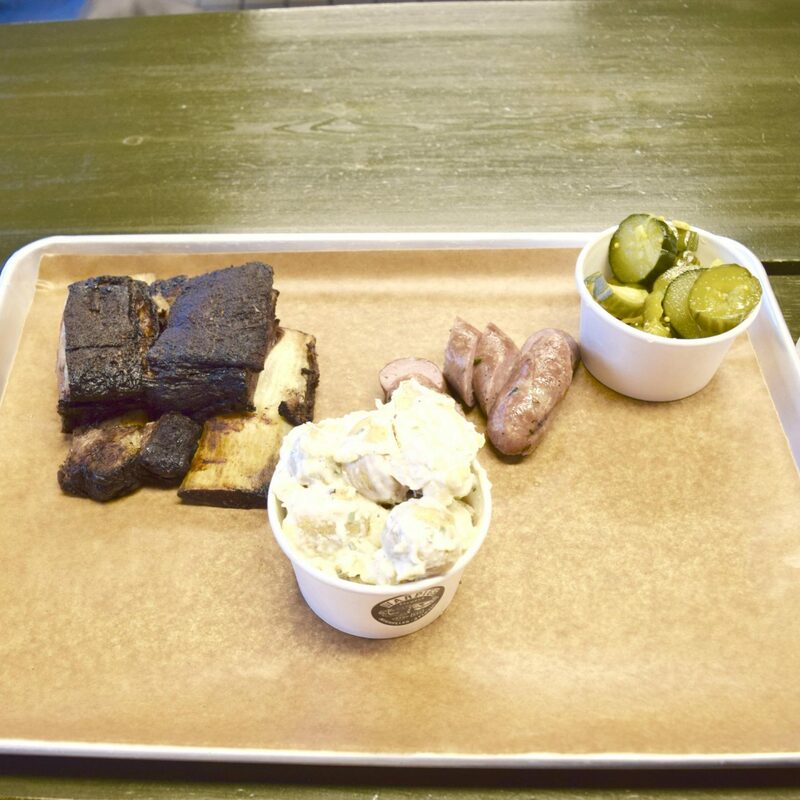 Carnivores will love this hip brewpub in Copenhagen’s buzzing Meatpacking District and it’s the place to go if you are starving or looking for a beer experience out of the ordinary. Bearing in mind I don’t like beer even I managed to find one that I liked (pump number 12 if you’re interested). For a full on Texas bbq feast I went for sausages and beef ribs and slathered them with my favourite of the sauces, Carolina Gold and Alabama. This is a must try, but go with an empty tummy or you might need rolling out of the door like that kid from Charlie and The Chocolate Factory. 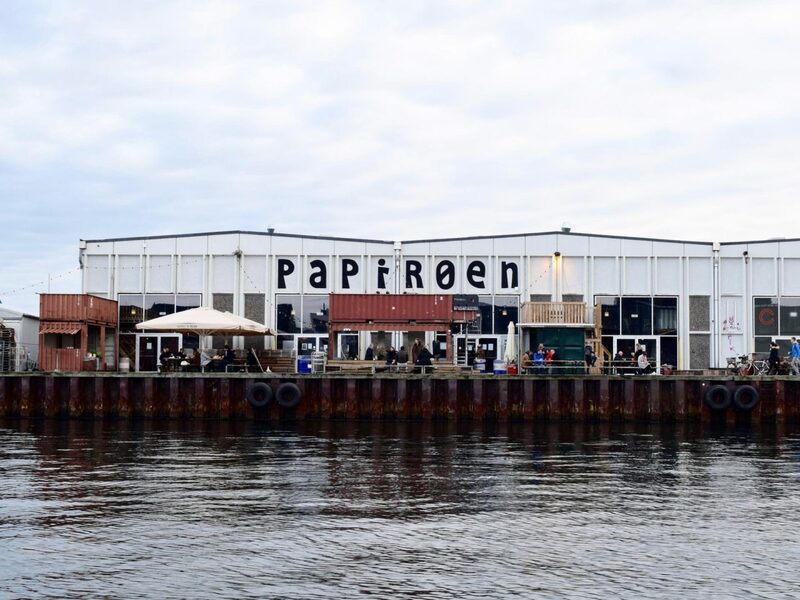 Copenhagen Street Food on Papirøen (Paper Island) is the city’s first and only genuine street food market. 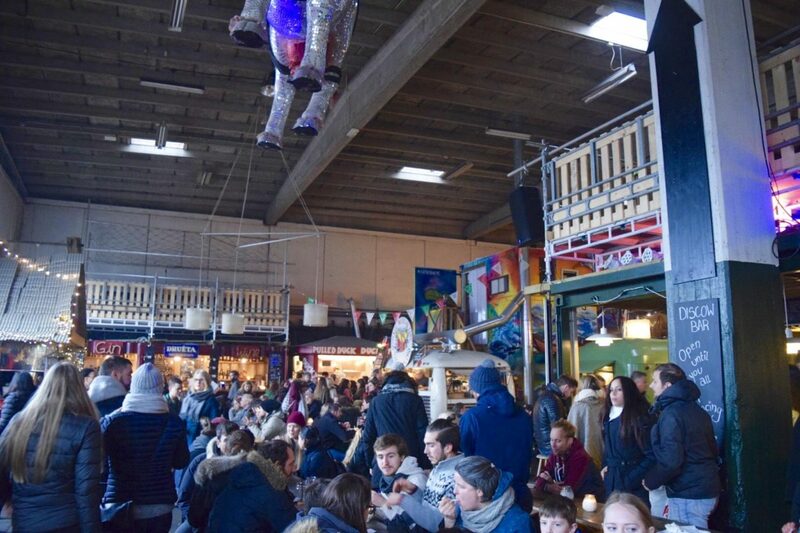 It’s definitely the best I’ve ever been to and my fave part is that all of the food trucks and stalls are inside so when it’s freezing cold you can sit and eat in the warm and when it’s sunny there’s lots of outside seating. 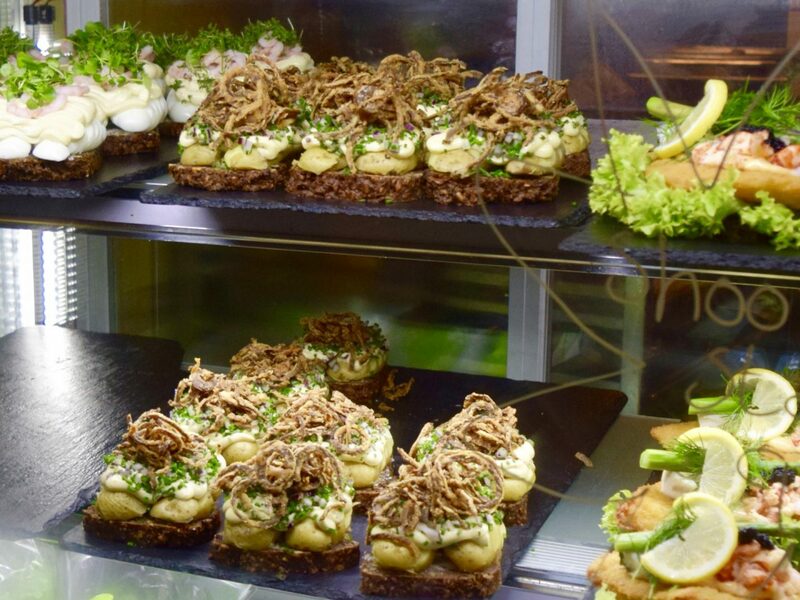 In the small food trucks you can get delicious sustainable street food from all corners of the world from Korean to Brazilian and of course typical Danish food too. Look at it! Just look at it! Get in my belllllleeeeh! 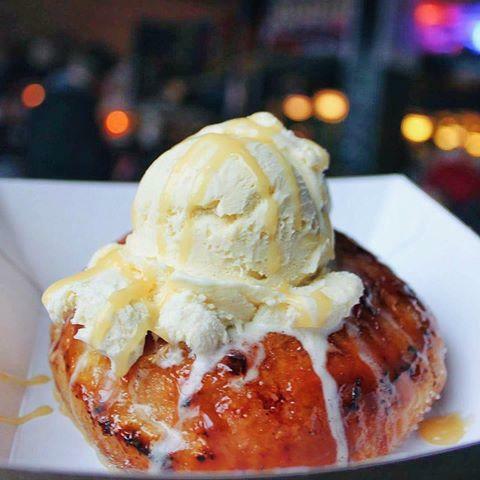 Sweet Food is your first stop as you must must must get a famous creme brulee doughnut. If they’ve sold out then just have a tantrum.. or go for the cookies and cream cheesecake. It’s not the same but it’s the next best option, the base was the best bit. My next suggestion would be to run, don’t walk, to Duck It (love a pun) a duck and chips stall which was lit and I wish I had gone there. 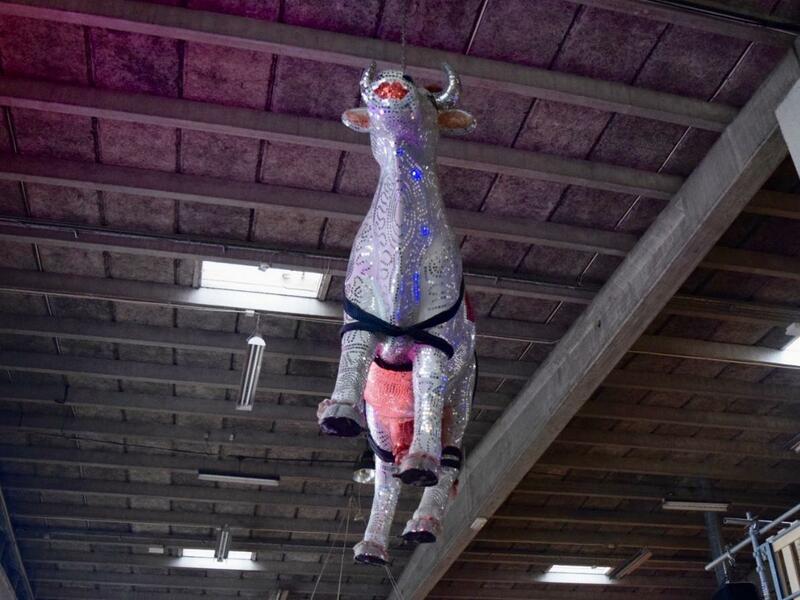 Then, if you like wine, go to the first bar to the left of the disco cow (why have a boring disco ball anyway) at the entrance and go for their wine of the week, they really know their vino, clearly.. since I can’t remember it’s name! 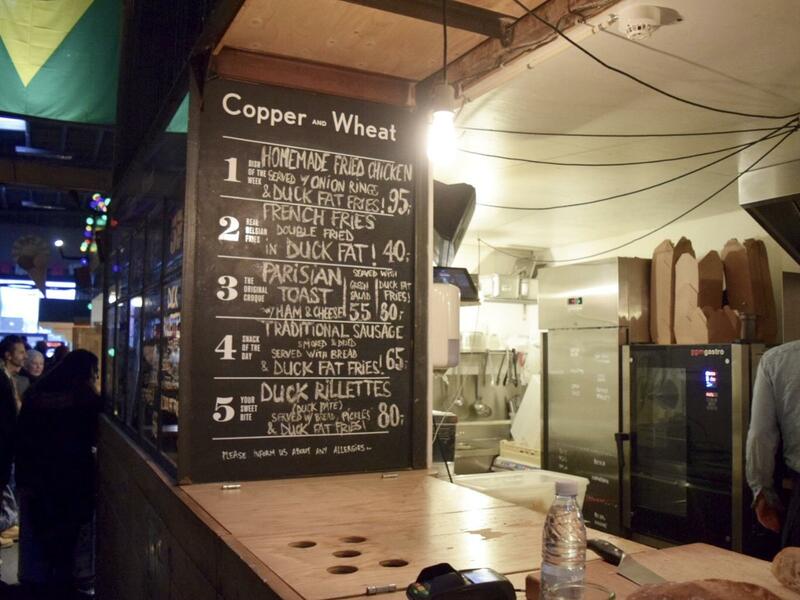 The priority of Copenhagen Street Food is that the food tastes good, is made from scratch, and it must be sustainable, meaning that the ingredients are not transported over long distances, but are local produce. One of the best places to go for a cheap tasty meal. For those late nights that go a bit left, there is a chain called…wait for it..Kebabistan! Oh how we tried to find this place for a laugh, unfortunately it remained elusive. Apparently you go for the kebab sandwich on Turkish bread for the least dodgy option. Sounds legendary. Gasoline Grill is perfect if you’re a burger fiend on the lookout for a new type of fix, since Gasoline Grill is actually inside a real petrol garage..MADNESS! Check out their Insta and tell me that doesn’t look delicious. Mother was our second choice if we couldn’t get into Neighbourhood on Saturday night. Also a pizza place and also in the meatpacking district. You’ll find plenty of pasta dishes but let’s be honest, most of us want a big fat pizza, and you can even get a side of burrata for extra cheesiness. Because…cheese. Atelier September is the hipster hangout and the place to be for breakfast or brunch. Atelier September has become so popular as it offers a tiny but delicious menu and everything is made with fresh seasonal produce. It is a unique place as it feels exclusive and unique yet welcoming and easy going. 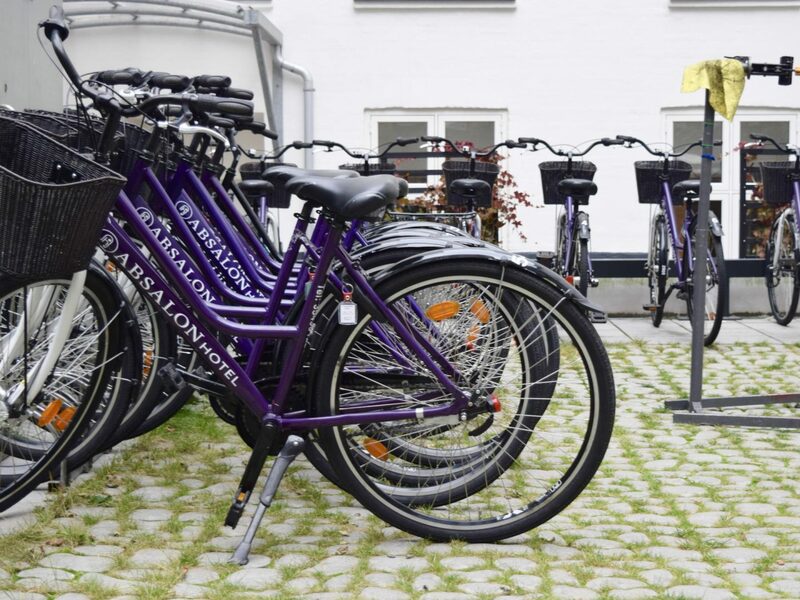 Located at Gothersgade 30, 1123 Copenhagen. This stunning wooden bar is well hidden in the Vesterbro region, to the point where we had to make 2 sets of new friends, join an alcohol quest gang and all go and look for it together. Friend! 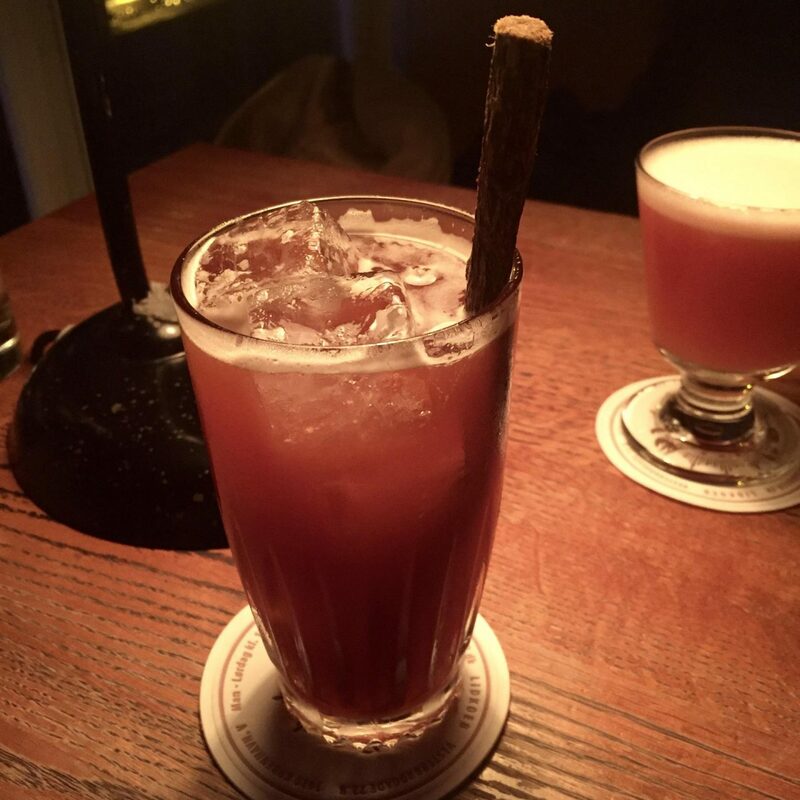 Eventually we got into the listed 18th century former pharmacy lab and by that time I deserved a drink. Set over three beautiful floors there’s a stunning whisky bar with over 200 whiskies, two real fireplaces, a long oak bar, comfortable leather sofas and booths and more importantly, some damn good cocktails. I loved that there wasn’t one cocktail I recognised on the menu as I usually find cocktails quite boring. How many pornstar martini’s/glasses of instant diabetes does one really need? I went for Røg uden ild (smoke without fire) which was really different, probably due to the inclusion of smokend tequila. Sophia went off menu and the bartender made her a sherbet cocktail of wonder, so if you have something specific in mind or can’t find anything you want on the menu, just ask and they will hook you up with something delicious. Yes this is so chav and I’m not even sorry about it. 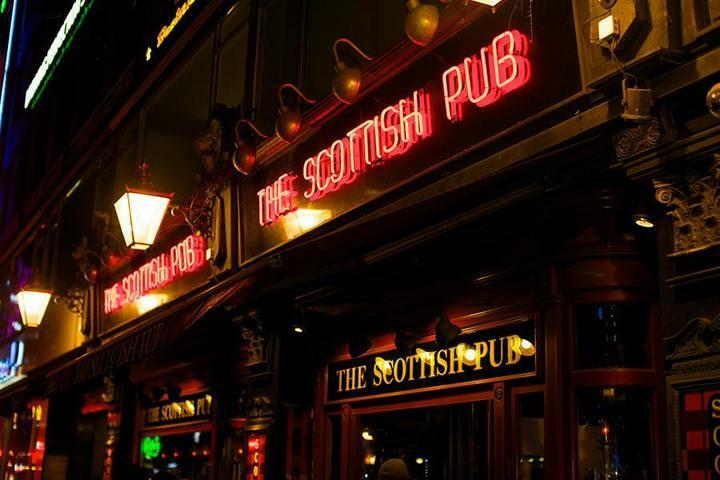 Going to a Scottish pub which is more likely to be visited on a stag-do pub crawl wasn’t exactly the first thing that popped into my mind when we booked our tickets to Denmark and frankly I really don’t remember why we ended up here, but we had a great time, met some quirky new people and enjoyed an absolute ton of frozen strawberry daquiris. There was a DJ, friendly clientele and a fun place to be on Saturday night for people watching! Turned into a bit of a disco later, but there was a good DJ who managed to work out who Craig David was in the end and had half the pub up dancing. Diverse range of people, by every means, so it’s worth a look if you are having an anti-hipster night out in Copenhagen. 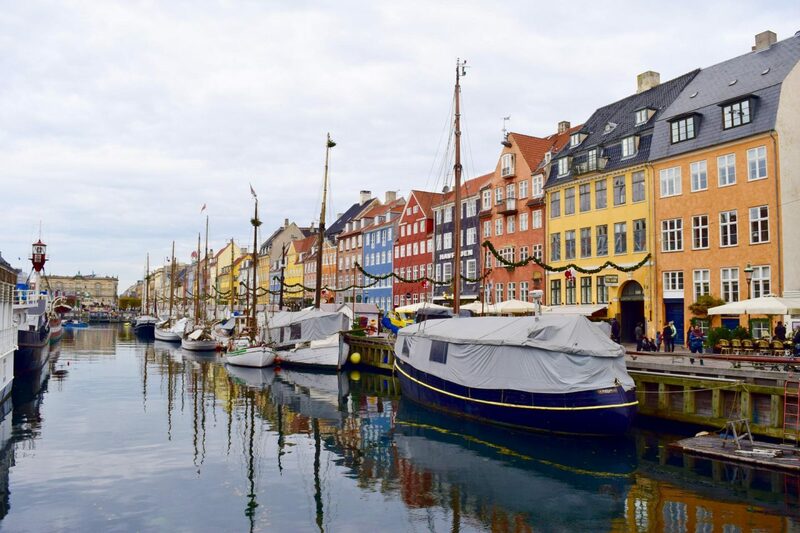 Especially during Christmas, when the scent of “gløgg” (a Danish drink similar to Glühwein), waffles and sugar roasted almonds fill the air, Nyhavn sets the scene for an idyllic way of experiencing Danish “hygge” and Christmas traditions. 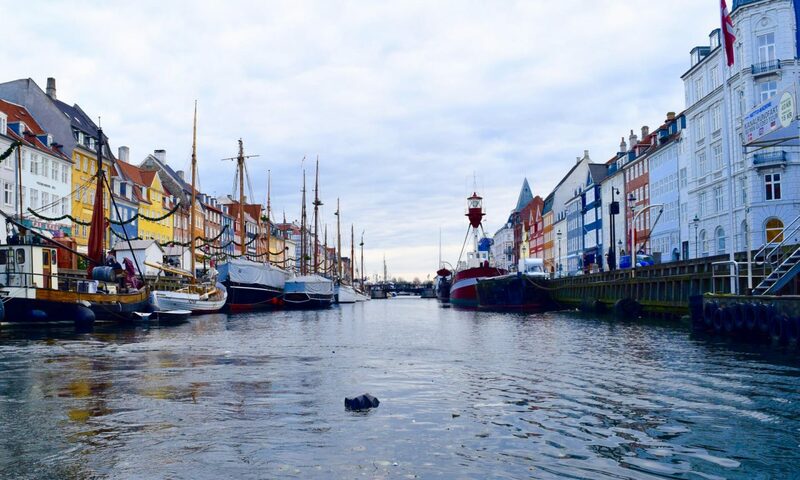 The historic cobbled streets of Nyhavn have always charmed visitors and Copenhageners. 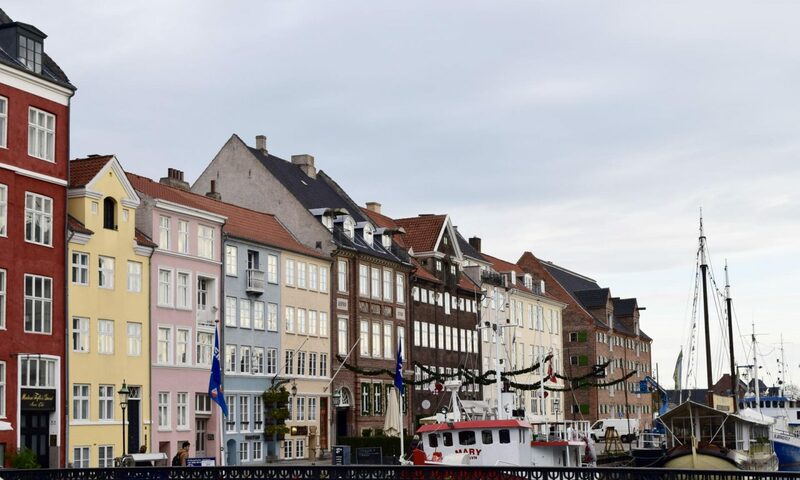 Not only is Nyhavn the place where Hans Christian Anderson lived and wrote his fairly tales, it’s the place where most of the famous pictures of the coloured houses in Copenhagen are taken. 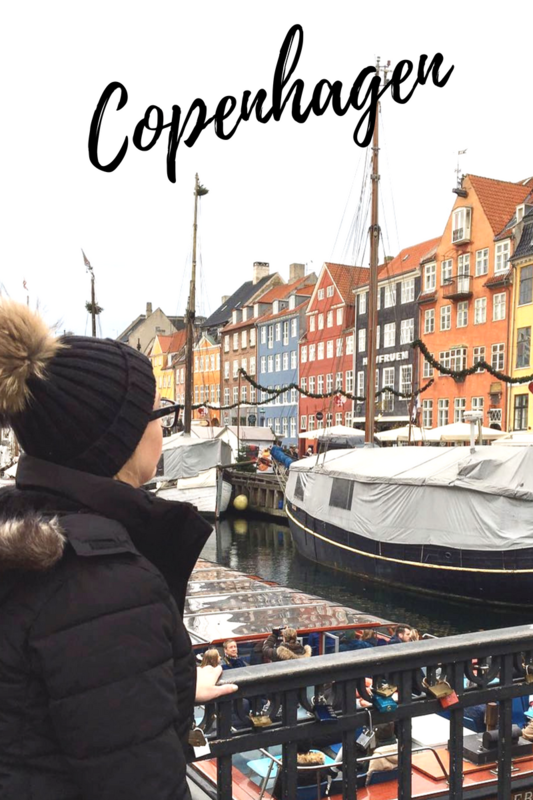 This was the place I most wanted to visit in Copenhagen and we combined it with a trip to the nearby shops and a canal boat ride. 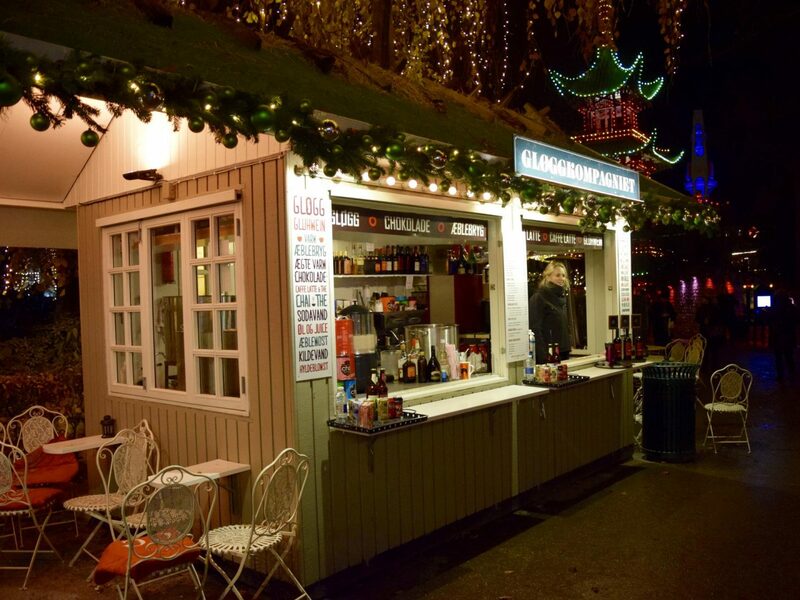 Throughout the end of November and December, stalls along the quay sell Christmas gifts, souvenirs, and food and drink. With the coloured 15th century coloured houses as a backdrop, you will be able to take some amazing photos and it’s just such a beautiful place to walk around. 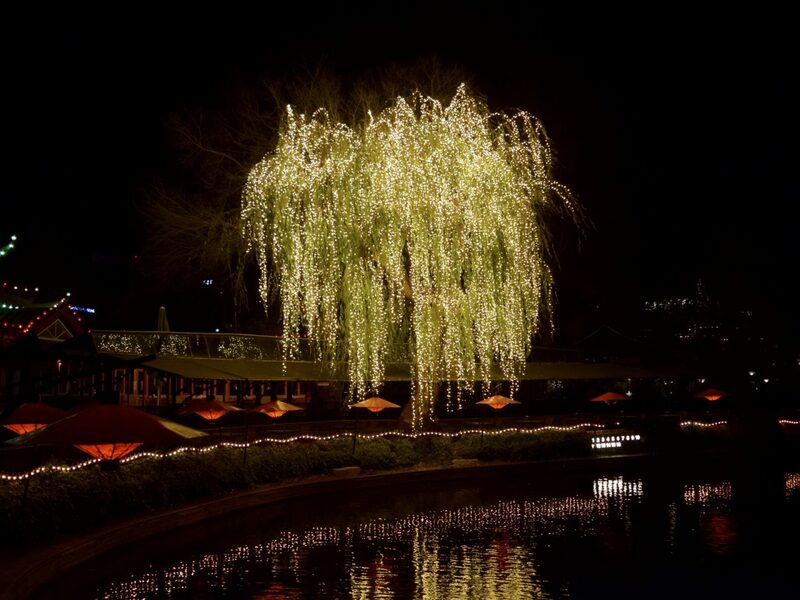 The restaurants in this area looked beautiful but they were expensive so we didn’t indulge. I mean £9 for a bowl of soup…it’s a bit much! 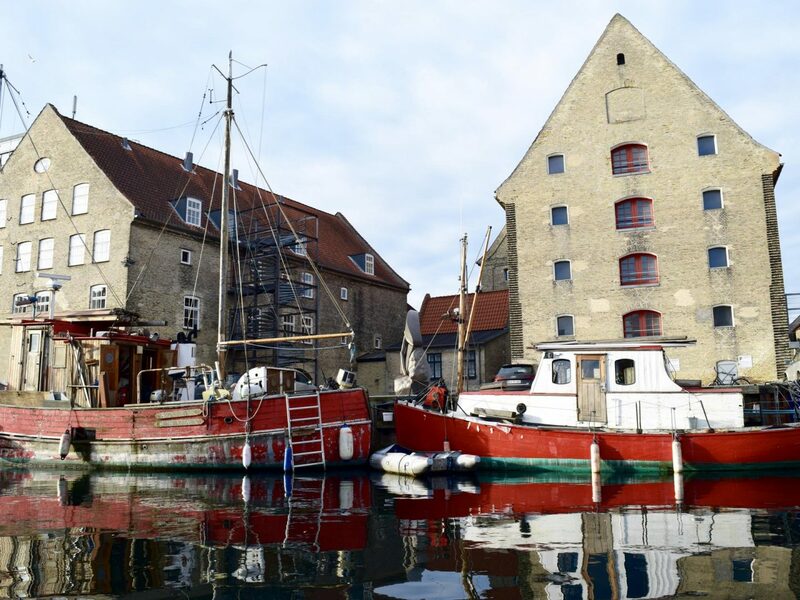 Canal Tours are a wonderful way of seeing Copenhagen. 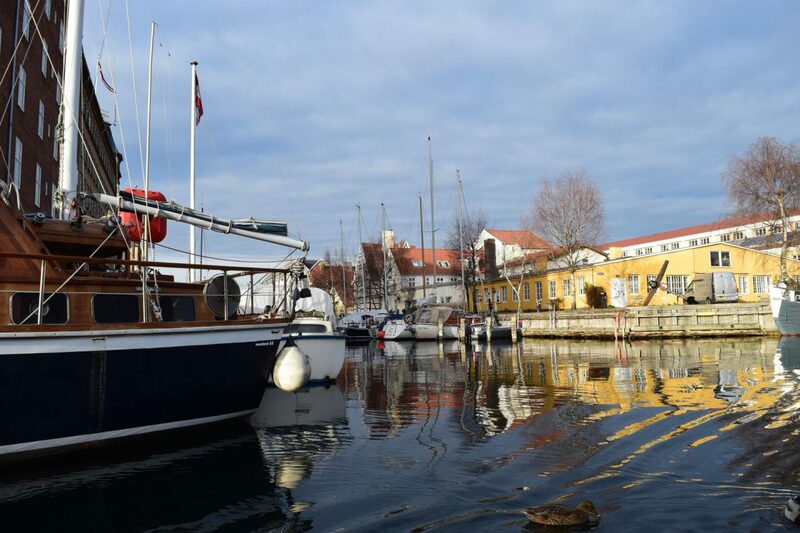 Experience the harbours and canals of Copenhagen with either a guide or an audio guided tour which is available in English, German, Italian, French, Portuguese and Spanish. The tour takes approximately 50 minutes and is really a must-do. 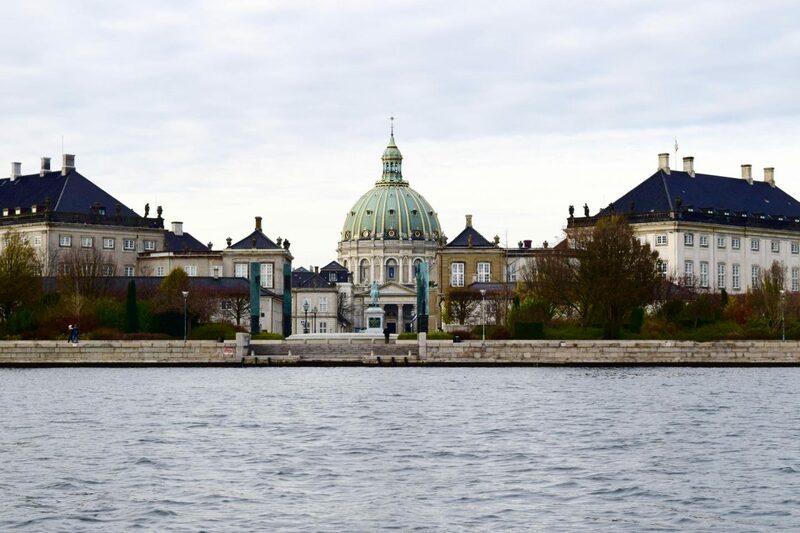 During the tour, you will see the Little Mermaid statue, the opera house, Amalienborg Palace, Christiansborg Palace and the Black Diamond Library. I really enjoyed the tour and it was cool to see parts of the city we wouldn’t have had time to visit otherwise. 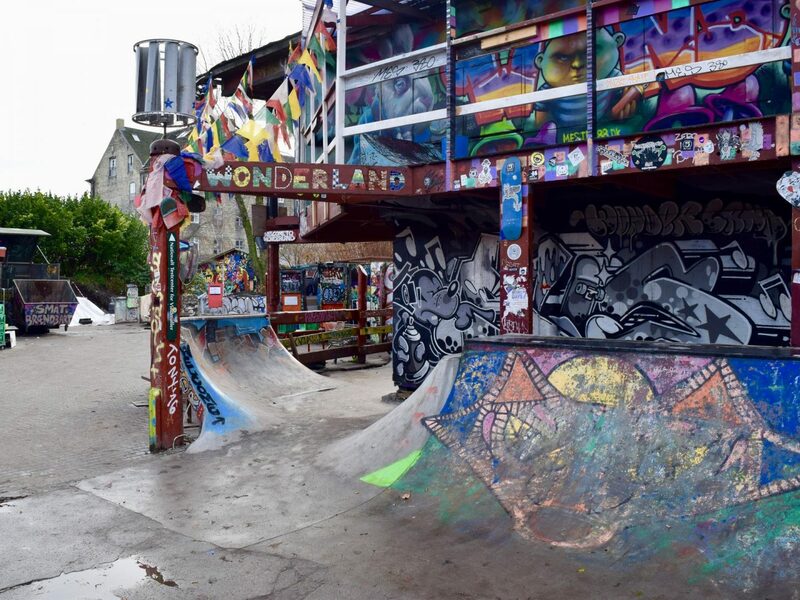 Freetown Christiania is a green and car-free neighbourhood in Copenhagen, established by a group of hippies who developed their own set of society rules, completely independent of the Danish government. 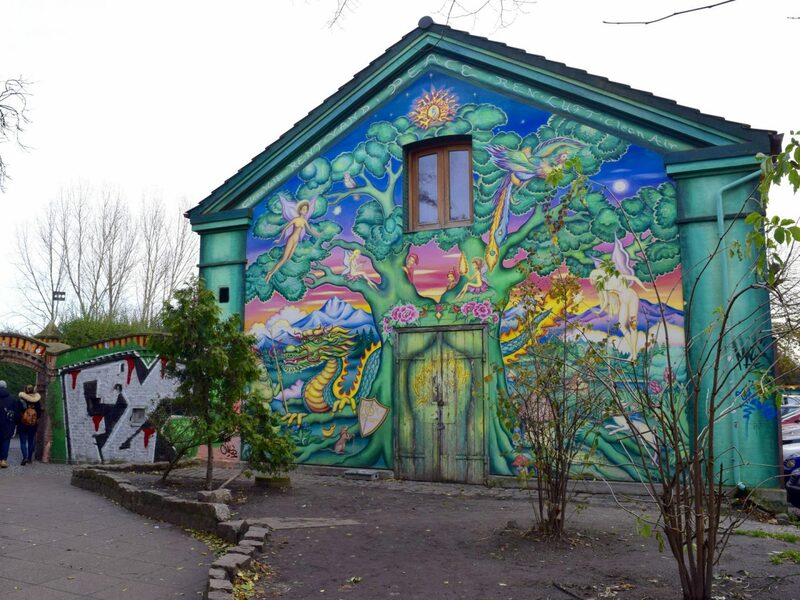 In July 2012 the Foundation Freetown Christiania was founded so the foundation now owns the entire part of Christiania located outside the protected ramparts. 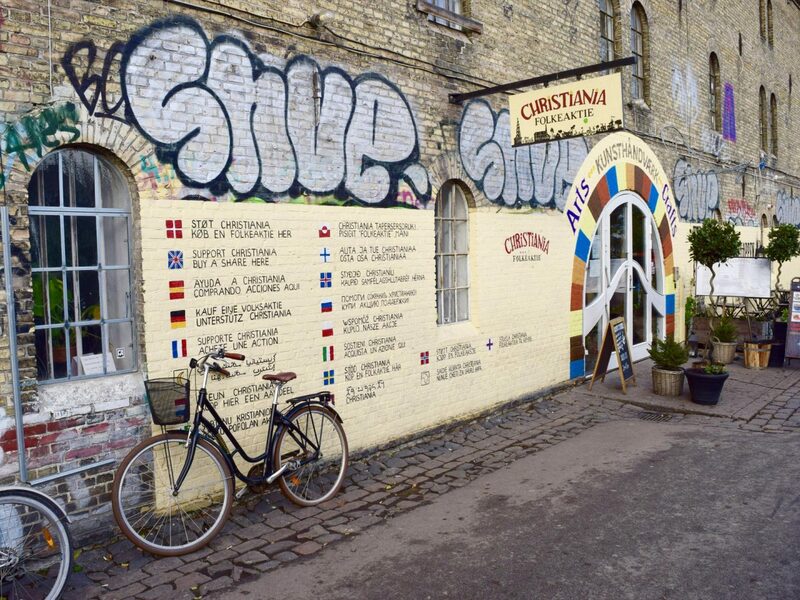 Christiania has homemade houses, art galleries, concert venues, shops, organic eateries, and nature. The area is open to the public and it’s cool to go and wander around the place and see how the people live there. I should say I was very lucky to get out of there ok as I was taking lots of pictures but apparently you aren’t allowed to. I advise you not to do what I did, which was only done as I only saw a sign saying no cameras when we were about to leave. 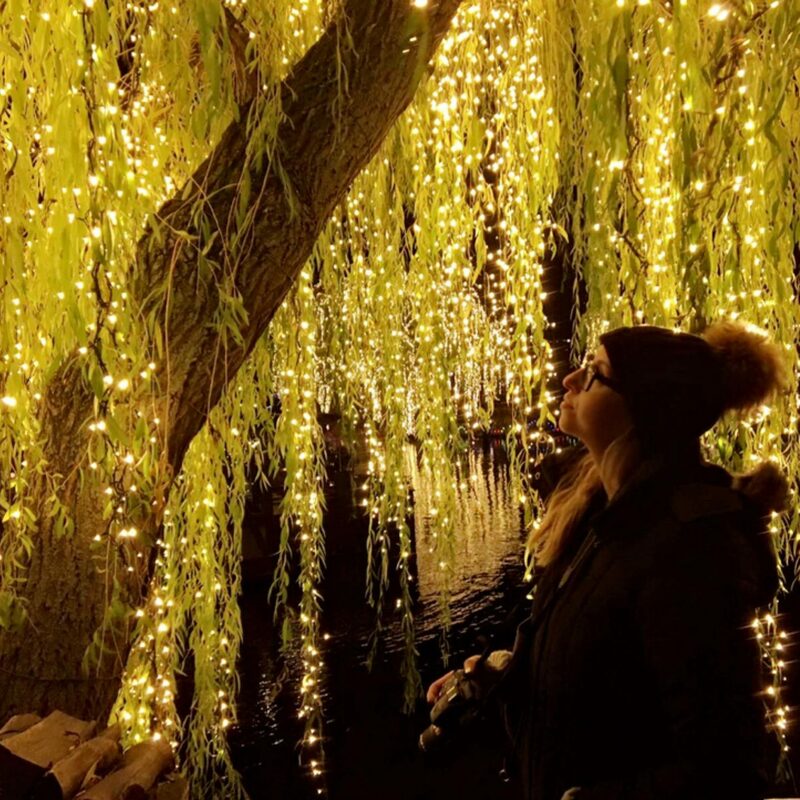 Copenhagen is a real Christmas city so the Tivoli Gardens’ Christmas market is a must, if you are in Copenhagen during the months of November and December, there’s rides, shopping, lights and entertainment for all. 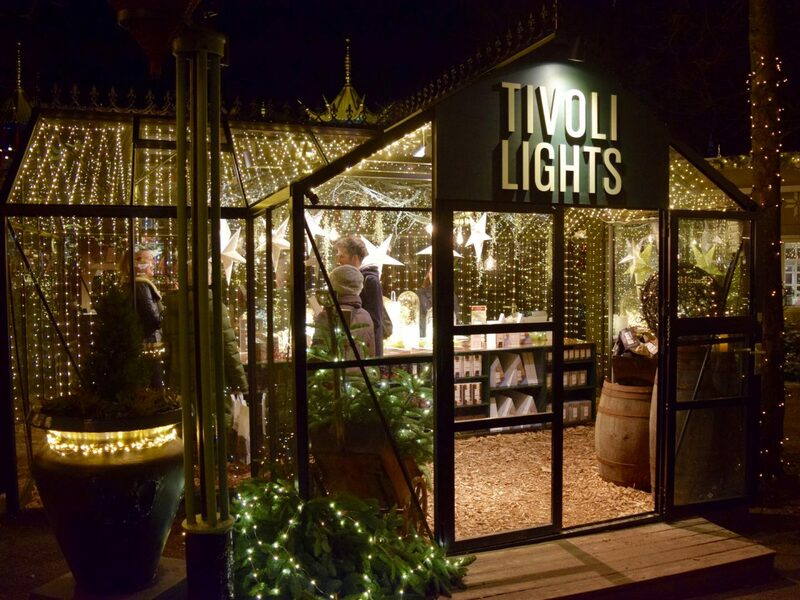 The whole of the Tivoli gardens are decorated for the season with so many Christmas trees and fairy lights, and in addition to the Tivoli Illuminations on the lake there’s a new light show near the Chinese area. I’ve honestly never seen anything like this and it was so beautiful to walk around and take pictures. 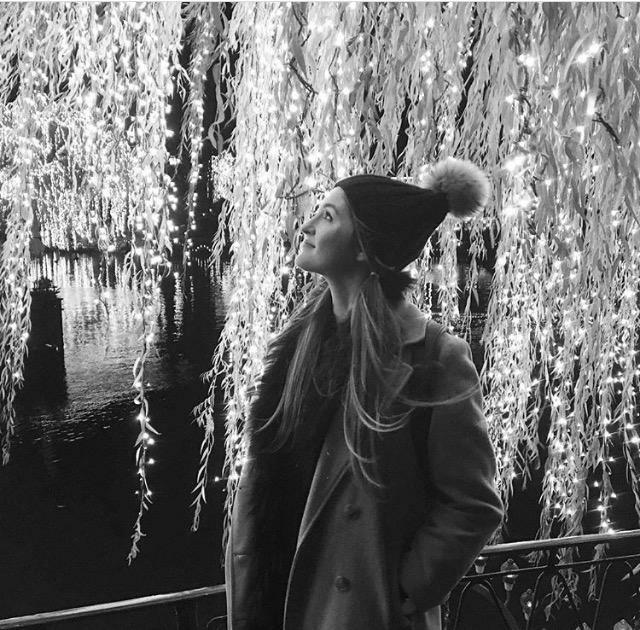 I didn’t actually buy anything, it was nice to just soak up the atmosphere. 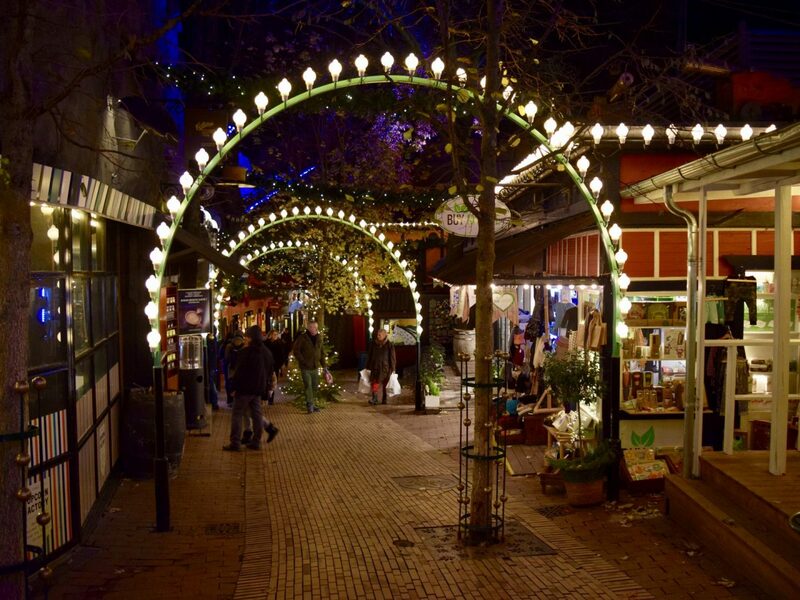 There are around 60 different stalls selling everything from decorations to fairy lights. 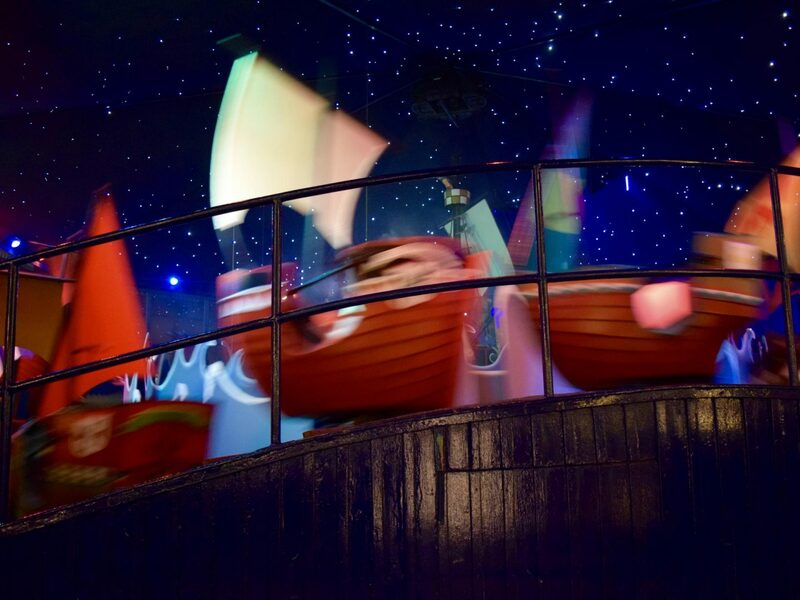 There are also rides and games you can play and restaurants as well as food stalls. My partner in crime for the weekend. What a babe. A massive thanks go to my beaut friend Sophia for the lols and taking the pics of me as, normally, I don’t have anyone to do that. If you want to follow her on Instagram here’s the link to her account. Thanks to Absalon hotel for hooking us up with a fabulous hotel room with a blinging silver wall and coloured rave lights in the shower, I have honestly never had a disco shower before and I appreciate you expanding my horizons of showering possibilities. 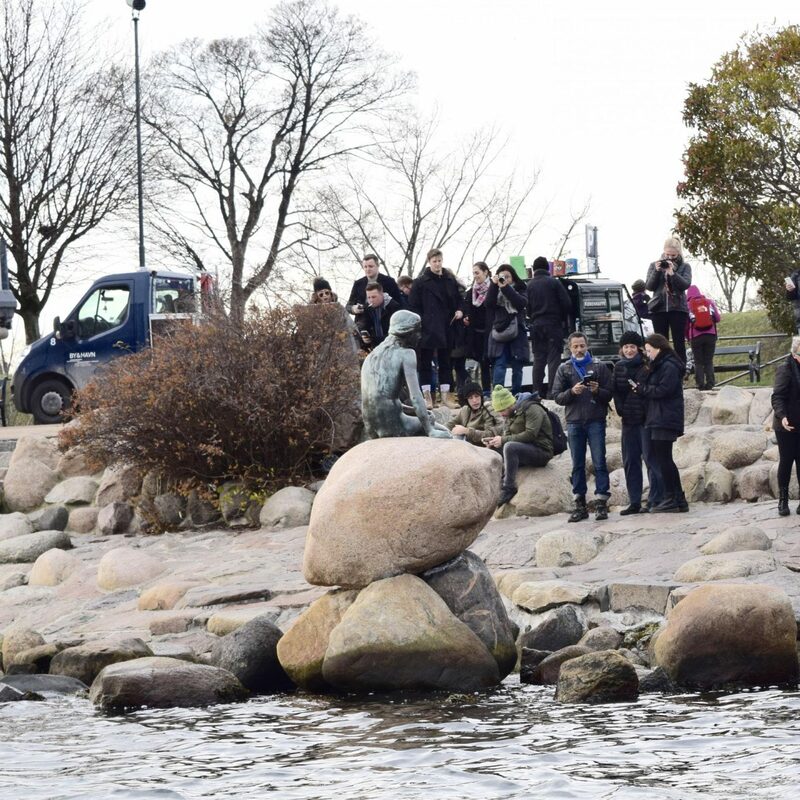 I had an amazing time in Copenhagen and I hope if you go in the future you will too. Let me know if you go!